Washington - Al-Qaeda supremo Osama bin Laden and his deputy spent a frantic three months travelling non-stop across Afghanistan after 9/11, according to secret US military files released by WikiLeaks. The documents, part of intelligence assessments of Guantanamo detainees, showed that bin Laden told Arab fighters just four days after the September 11 2001 attacks to take up arms in Afghanistan against the "infidel invaders," according to the Washington Post. The Post was among a group of US and European news outlets provided early access to the classified military files obtained by whistleblower website WikiLeaks. 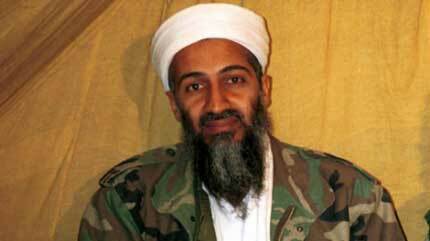 In one sign of how desperate bin Laden had grown after narrowly escaping from the Tora Bora cave complex of eastern Afghanistan in mid-December 2001, the al-Qaeda leader was so strapped for cash that he borrowed $7 000 from a protector, reimbursing him within a year, the documents showed. At some point before their escape from Tora Bora, Saudi-born bin Laden and his Egyptian deputy Ayman al-Zawahiri were said to have hosted a steady stream of visitors and ordered their followers to continue attacking Western targets from a makeshift headquarters at a secret guesthouse in or around Kabul. Bin Laden had his fighters leave training camps and told some of his wives and other women and children to flee to neighbouring Pakistan. On October 7 2001 during the first days of the US-led bombing campaign of Afghanistan, bin Laden met with top Taliban official Mullah Mansour in the group's spiritual homeland of Kandahar. Zawahiri accompanied him that month for a meeting with Jalaluddin Haqqani, who still leads a Taliban insurgency targeting the United States and its allies in Afghanistan, the Post added. Bin Laden then escaped to his Tora Bora refuge that November with Zawahiri and members of his security detail. He told his associates to "remain strong in their commitment to fight, to obey the leaders, to help the Taliban, and that it was a grave mistake and taboo to leave before the fight was completed," the documents showed.